The WLtoys Q242 comes completely ready for live video action and straight out of the box you are good to go. It is a good beginner FPV platform and it is also a dense drone so it won't be blown around. 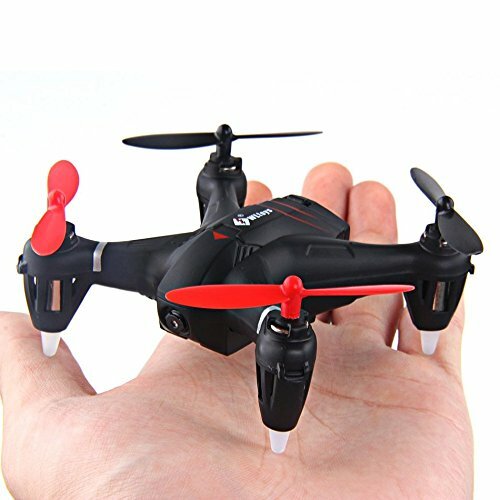 The WLToys Q242G is probably the most affordable micro 5.8GHz FPV drone available on the market today. 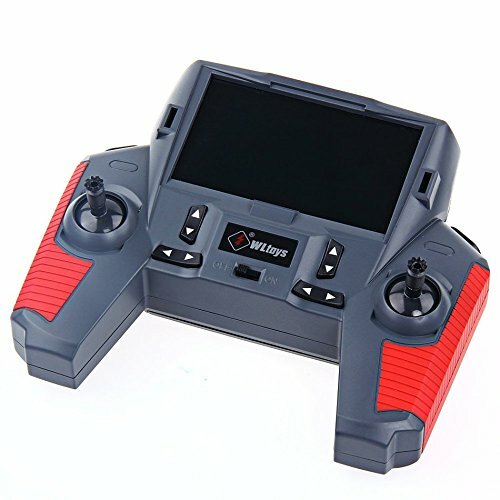 The Q242G is considered to be one of the best drones for beginners. 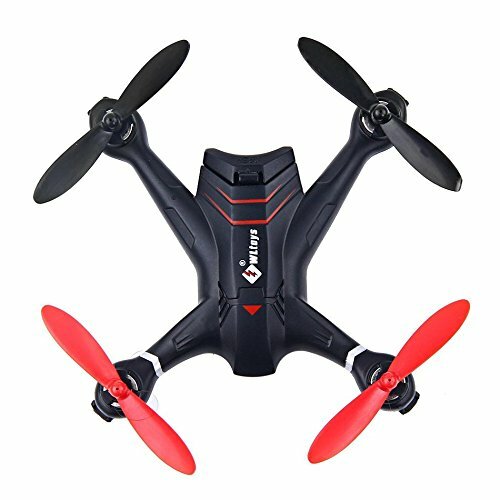 This little quad includes 5.8 GHz FPV system and a 2MP 720p HD camera and it is considered to be a perfect winter indoor FPV flier. 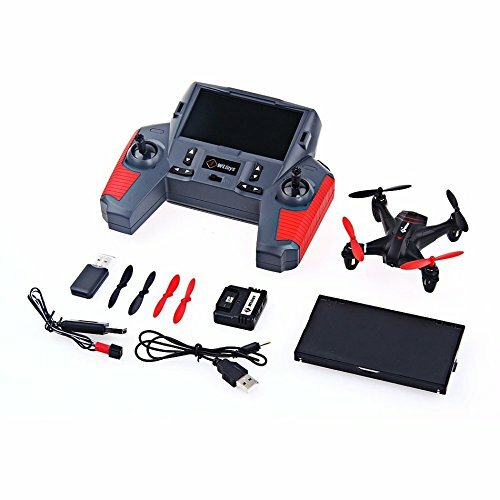 The package includes WLtoys Q242G FPV drone with camera, remote controller, 2GB micro SD memory card, USB card reader, Li-Po battery (for the quadcopter), 2 USB charging cables, battery (for the remote controller) and instruction manual. The Q242G has lightweight airframe with nice durability. The frame is made of strong plastic and the motors are big for this size drone. It features a 6-axis gyro that allows strong stability, stronger wind resistance and easier control. The WLtoys Q242G is equipped with colorful LED light for flying in the dark at night. The drone can be flown both indoor and outdoor. As far as the color goes, this drone is available in red and white. The Q242G’s battery is probably the most impressive feature of this drone. It employs a push-to-install design similar to what you’ll find on smart batteries used on more expensive quads. The battery is a very aesthetic aspect of the drone’s design and gives it a beautiful look and feel. The drone is powered by 3.7V 400mAh Li-Po battery that has a flight time of about 6 minutes. It is important to note that the advertised play time for this drone is about 10 minutes. However, this is rather incredible considering that the drone is equipped with a tiny 400mAh Li-Po battery. The battery takes about one hour to charge completely. The most impressive feature of the Q242G is not the drone itself but the transmitter. The drone has a very stylish transmitter with built-in FPV screen powered with a 500mAh Li-Po battery. The battery provides just enough power for about 2 to 3 FPV flights. You may also choose to upgrade to a larger cap battery. It’s pretty rare to find a transmitter this good-looking in under $100 toy drones. The buttons are all easily accessible and the sticks are also smooth to use. Another useful feature is that the transmitter has rubberized grips for both hands. The top bumper buttons control the camera and flipping and the power switch and the various trim buttons are at the front. A 5-inch display with collapsible sunshade takes centre stage on the transmitter. This sunshade does an amazing job in shielding the display even when it is really bright outside.
. Optical quality of the 2MP camera is reasonably good and the video is recorded in 720 HD. Another great feature is the drone’s built-in micro SD card slot. It lets you record images and videos on the quad instead of your FPV display or Smartphone. This method is much better way of recording your camera files because recording your photos and videos on your Smartphone or tablet is an approach that is susceptible to all kinds of issues. The FPV range can reach about 100 meters without obstructions. It is important to note that there is some flickering that starts at about 30 to 40 meters and it gets worse as the distance increases. This is probably due to a puny low power FPV transmitter on the drone and poor signal reception in the FPV monitor itself. However, you wouldn’t want to fly the Q242G further than 40 meters anyway, being such a tiny drone. When we talk about power and speed, the Q242G will simply blow away most other quads in its size category. The drone is equipped with 8.5mm motors and impressive propellers that provide it with some serious propulsion. With its motors providing a lot of thrust when necessary, the drone feels very stable and planted in the air. However, having such powerful motors isn’t without its flaws. You should be very careful when flying in tight spaces with many obstacles because the motors are so strong that they can mangle, twist or even rip off the propellers during a crash. The Q242G is also able to perform amazing and swift aerial flips. The great thing is that the drone is able to recover really fast from each flip. This drone has three speed modes. They can be toggled via the left shoulder button on the transmitter. It is important to note that there is no visual indicator to tell you which speed mode you are in so pressing the left shoulder button will result in beeps which tells you what speed mode you are in (one beep-speed mode 1; two beeps-speed mode 2 and three beeps-speed mode 3). The WLtoys Q242 comes completely ready for live video action and straight out of the box you are good to go. 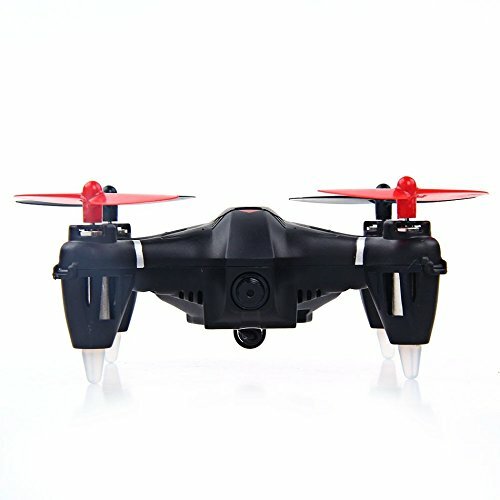 It is a good beginner FPV platform and it is also a dense drone so it won’t be blown around. Another great thing is that the extended costs are low because the batteries in both the drone and transmitter are rechargeable. 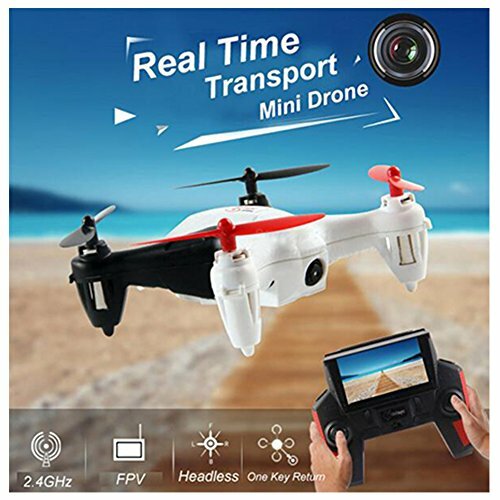 If you are looking for a tiny drone that provides a live video feed then you should consider buying this drone.